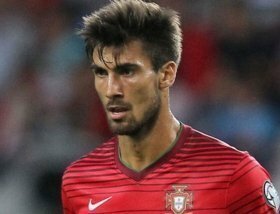 Tottenham Hotspur have reportedly earmarked Barcelona midfielder Andre Gomes as their prime midfield target following his impressive showing at Everton on loan. The Portugal international has made 23 appearances in the Premier League for Everton this term, and there have already been suggestions that the Toffees are seeking to pursue a permanent move for his services. However, according to The Sun, they could face stiff competition from Spurs, who are keen on pursuing a midfielder to replace Mousa Dembele in the ranks. Dembele left the north London side for the Chinese Super League during the winter transfer window and the Belgian's exit has left a void which has remained unfilled. Gomes currently has more than two years remaining on his existing deal at the Camp Nou but the Catalan giants are likely to sanction his sale to raise more transfer funds for manager Ernesto Valverde. Gomes is presently valued at around £36m by the Blaugrana.